S2 Resources holds an 80% interest in six exploration licenses, covering 103 square kilometres of ground adjacent to the Polar Bear project (the Eundynie Joint Venture). 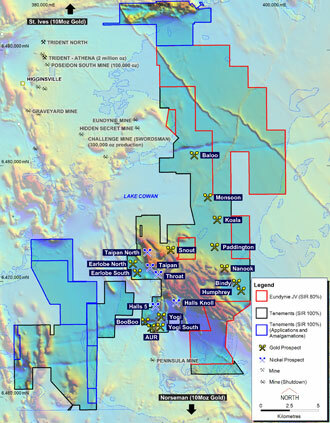 The remaining 20% is held by Shumwari Pty Ltd which is a private company run by a small group of project generation geologists specialising in Western Australia. The tenements cover the northern extension of the Baloo trend. In addition the project covers portions of the ultramafic stratigraphy considered prospective for nickel sulphide mineralisation.